May 2018 - Paraty Fr. 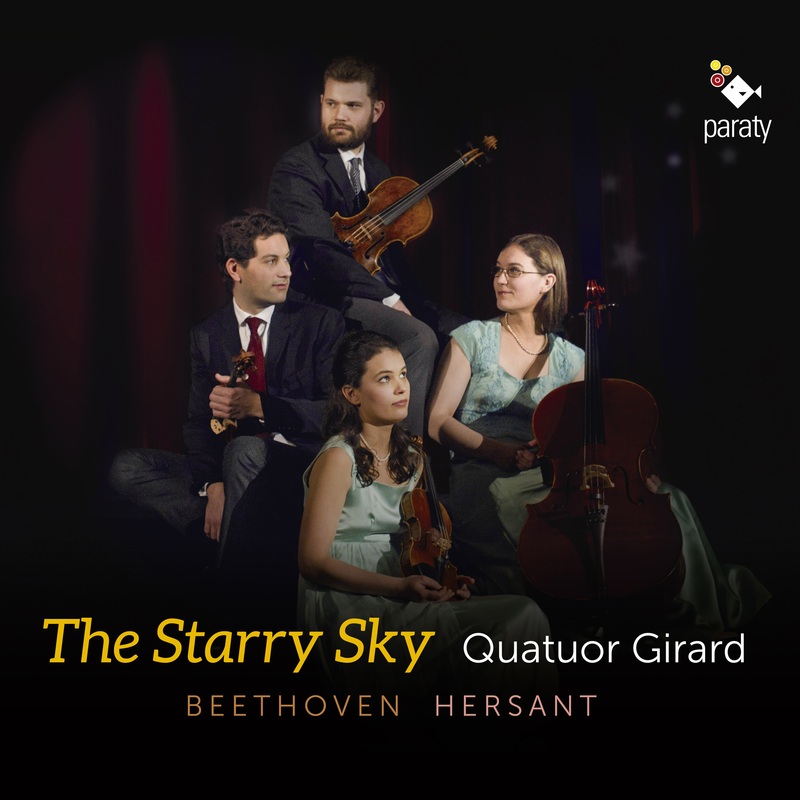 Composed of members of one large family, the Girard Quartet was born of a shared passion kindled by family performances of chamber music from a very early age. Trained by the Ysaÿe Quartet at Paris’s Conservatoire Régional and then by Miguel da Silva at Genève’s Haute Ecole de Music, the Girard Quartet simultaneously studied with some of the greatest quartets at the European Chamber Music Academy, the Villecroze Académie musicale, Proquartet, and Aix-en-Provence’s Académie du festival, quickly making a name for themselves at several important international music competitions. Winners of the Prix Académie Maurice Ravel in 2010 at the Saint-Jean-de-Luz festival, the Quartet were also prize winners at the Concours de Genève in 2011, and followed this by winning awards from the Fondation Banque Populaire and the HSBC Académie du Festival in Aix-en-Provence. 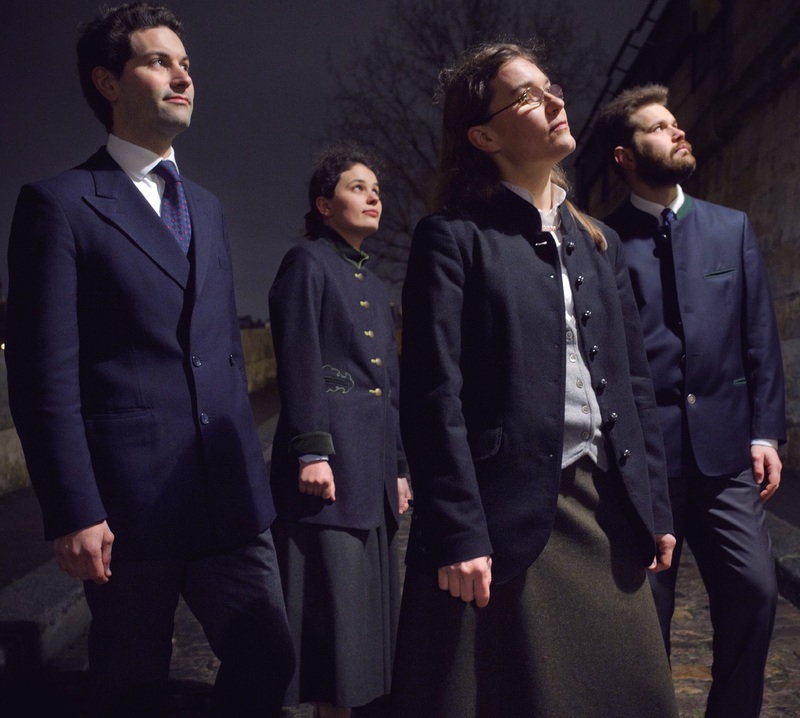 At present, they are quartet in residence at the Queen Elisabeth of Belgium’s Royal Chapel, where they benefit from close contact with the Artemis Quartet. They are also supported by the Singer-Polignac Foundation. 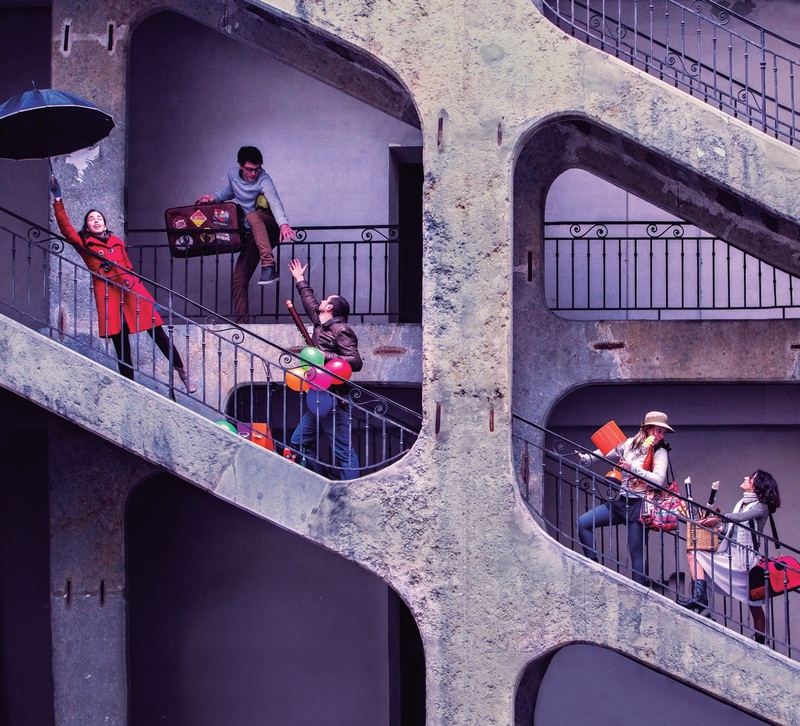 Regular broadcasts on France Musique, Radio Classique and Musiq’3 allow the Quartet to share their precious musical projects with a large audience. The Quartet combine their concert activities with an ongoing drive to make their music available to all audiences. With this in mind, they have already established joint ventures with several primary schools and music schools. Their performance of Beethoven’s complete string quartets – between May 2015 and January 2018 at Caen Auditorium – was a decisive, memorable experience which will continue to shape their future. Véra Tsybakov and Romain Hervé met at the Paris Conservatory (CNSMDP). Their complicity was instantaneous and quickly led them to perform together at the Cité de la Musique and Radio France. Tsybakov and Hervé gained admission to the Paris Conservatory the same year. Both earned their Bachelor’s Degrees in piano and chamber music with distinction, before pursuing graduate studies. A disciple of Brigitte Engerer, Véra Tsybakov is a laureate of the prestigious “Marguerite Long –Jacques Thibaud” International Competition, and the Banque Populaire Group Foundation. In addition, she won first prizes at competitions organized by Radio France, Steinway Paris, Zonta Club and Vulaines-sur-Seine. Romain Hervé, a Classica Magazine “Discovery Artist” in 2003, is a laureate of the Geneva Arts Society International Competition, the Polignac Festival, a first-prize winner at the Radio France competition, and laureate of the Cziffra and Banque Populaire Foundations. He is proud to have had Pierre Froment (a disciple of Alfred Cortot) and Bruno Rigutto (a disciple of Samson François) as his mentors. Tsybakov and Hervé have had the honor of appearing in many of France’s most renowned concert halls. In Paris, these include the Châtelet, Champs-Elysées and Mogador Theatres, the Salle Pleyel, the Salle Gaveau, the Cité de la Musique, and the Maison de Radio France. In the French provinces they have performed at the Cité des Congrès in Nantes, Avignon’s Palais des Papes, the Lyon Opera, the Saint Etienne Opera, and the Périgueux Palais des Congrès. They have also performed in Germany (Radio Hanover), Belgium (Royal Conservatory of Brussels), Korea (Seoul Arts Center Concert Hall), Holland (Amsterdam’s Concertgebouw and Rotterdam’s De Doelen), Japan (Musashino and Kanazawa), Singapore (Esplanade Concert Hall), and Switzerland (the Athénée Theater and Studio Ansermet). They enjoy designing themed programs and collaborating with French actors such as Francis Perrin, Robin Renucci, Francois Beaulieu and Daniel Mesguich. Véra Tsybakov and Romain Hervé have recorded several CDs for French record labels Calliope, Intrada and Saphir Productions. 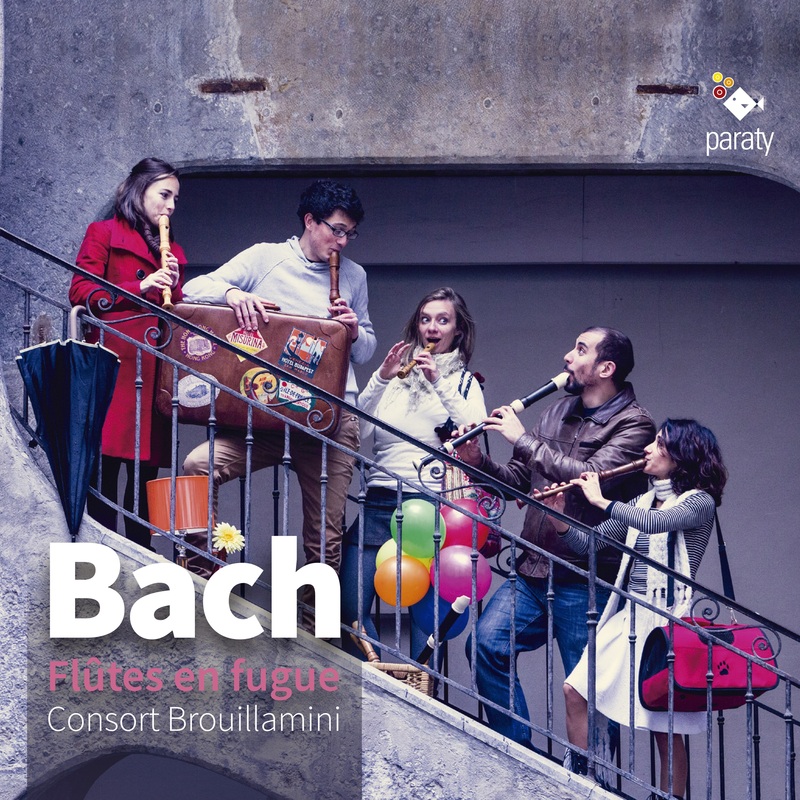 Their recordings have won multiple awards in France, including RTL Radio’s Critic’s Choice Award, FNAC’s Choice Award, an R10 Rating from Classica Magazine, a Recording of the Year Award from Pianiste Magazine, and 5 stars from Diapason Magazine and 4 stars from Le Monde de la Musique. Véra Tsybakov has also recorded 43 instructional DVDs for Pianiste Magazine. Her “Piano Kit” – a compilation of piano lessons – is available on Sony Classical.